Margery E. McDow, 62, of Lakeland passed away October 22, 2018. She was born in Hialeah, FL to parents George and Joyce McDow on May 5, 1956. Her parents and her sister Julie Carr preceded her in death. She leaves behind her three nieces, Cindy Douberly, Jeni Williamson and Vicki Barnhill. 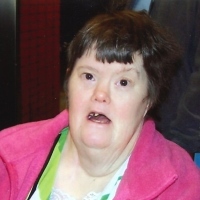 Margery was an avid bowler who loved country music; a devout Church goer; and a gentle, compassionate soul. Visitation will begin at 9:30 a.m., on Friday, October 26, 2018, at St. John Neumann Catholic Church with a Mass of Christian Burial to be celebrated at 10 a.m.. Interment will follow at Lakeland Memorial Gardens.